well I met the voice actor of ash ketchum "veronica taylor" she was awesome too bad i couldnt get her autograph oh well next year! I also bought some pokemon merchandize well 3 things! and i also found a place call "Bento Box store" in fan expo (note they don't sell BENTO BOX!" but is great for people who is in "north america" they go to japan buy anime merchandize and go come back here and sell it is good for people who dont have a pokemon centre! 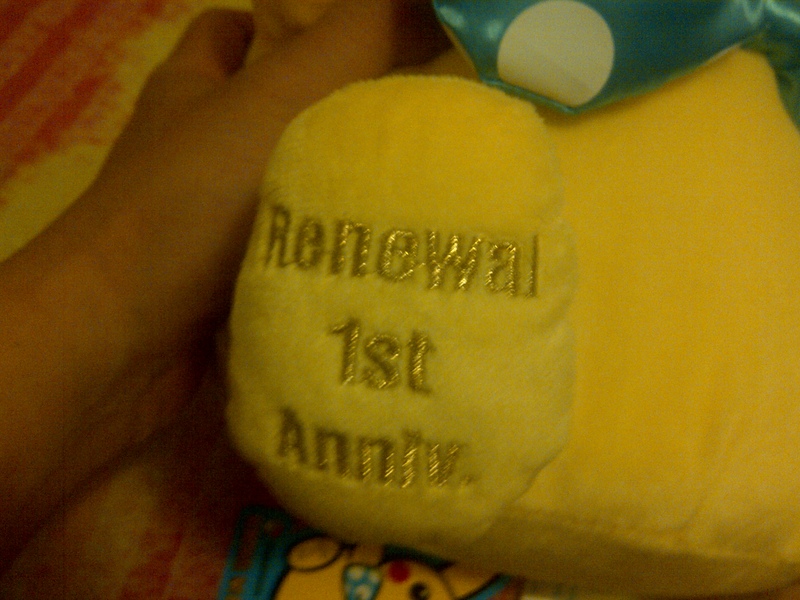 i got a nice item from them a super rare plush! 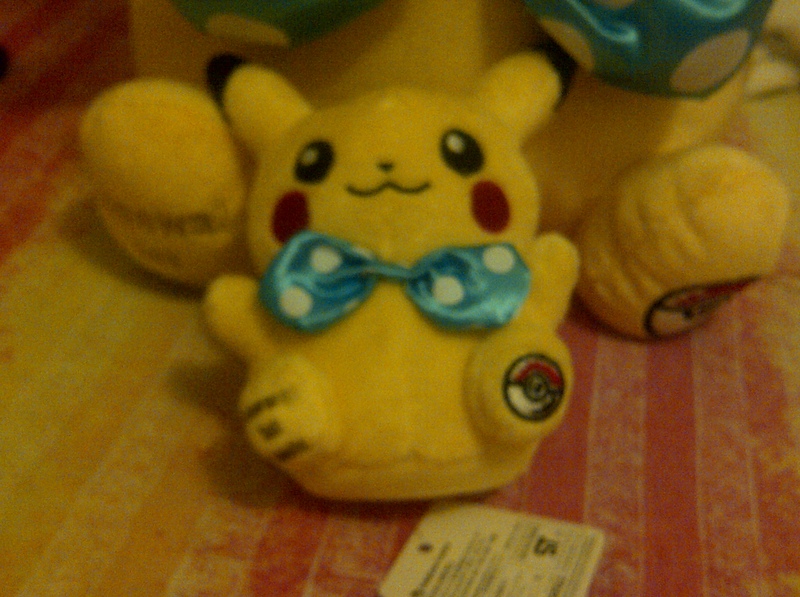 i got a shadow lugia and ampharos plush and from the bento box store i got a pikachu! 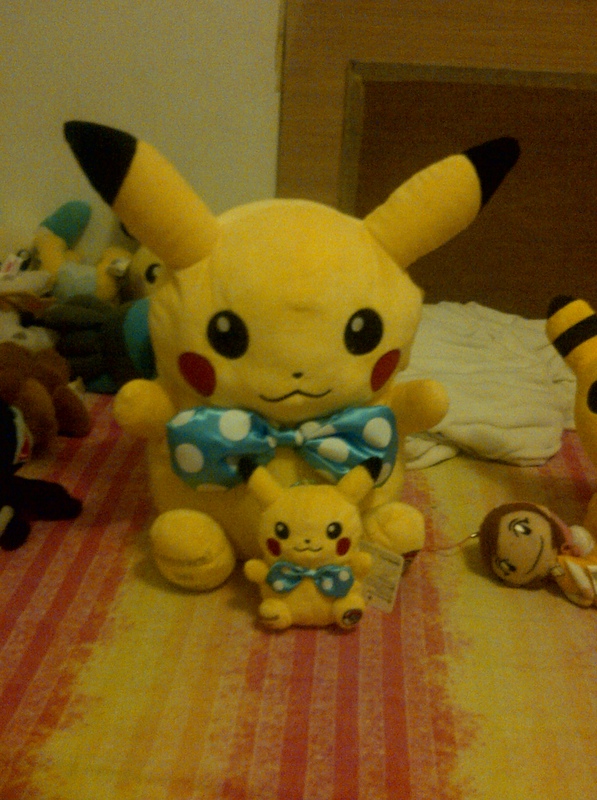 the 1 year anniversary pikachu plush with a jumbo version and smaller version i love it! this is the leg of the jumbo pikachu! And smaller version of it! And the rest of the photo of the things i bought from fan expo. Btw i saw a life size pikachu which was being sell in pokemon centre bento box brought it to sell and i found out it was very misleading meaning i thought pikachu will be smaller and fit on my shoulder but i found out is bigger then my head! standing up! thank goodness i didnt bought it lol it was like too big for my room! Hey guys, I just got a box with new goodies to sell. 10% Off Sale Through Monday! Hey everyone! I'm heading to a con next weekend and need some more money for expenses and such, so I'm having a 48 hour sale! Now through Monday, I'm offering 10% off your full purchase (and that's before haggling, which is as usual welcome.) to help raise the money. 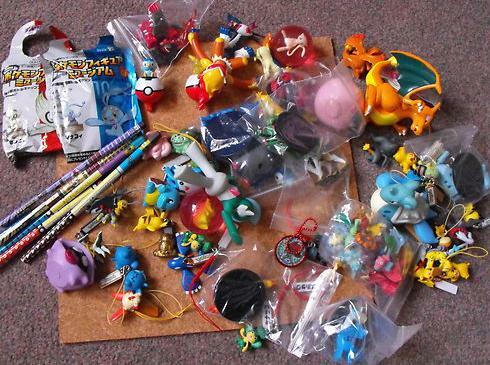 This includes Pokemon and non-Pokemon merch. Click the banner for some great bargains! Thanks for looking! And thanks to everyone who helped me get this far!!! I am open to haggling if there is an item that says "OBO" next to it, and it seems too over-priced. EDIT: A new report by member Crunch! So, a FULL YEAR AGO NEXT WEEK, this post was made about some "upcoming" ichiban kuji figures called "Kyun Chara". The experienced otaku of this community will know kyun chara is a very popular chibi figure series, which I learned using google to try to find more info. There are thousands of them for thousands of anime and game series! 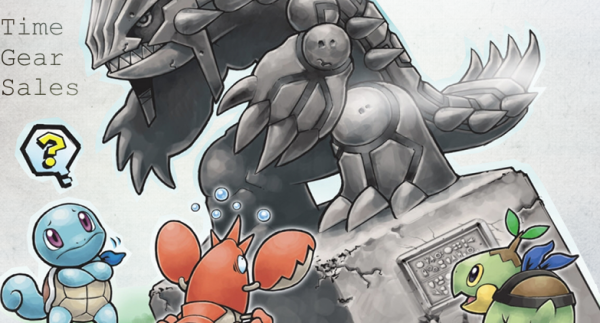 Well it seemed it was Pokemon's turn, but then it seemed like it had been shelved or forgotten, since we heard nothing more after that poster and prototype. 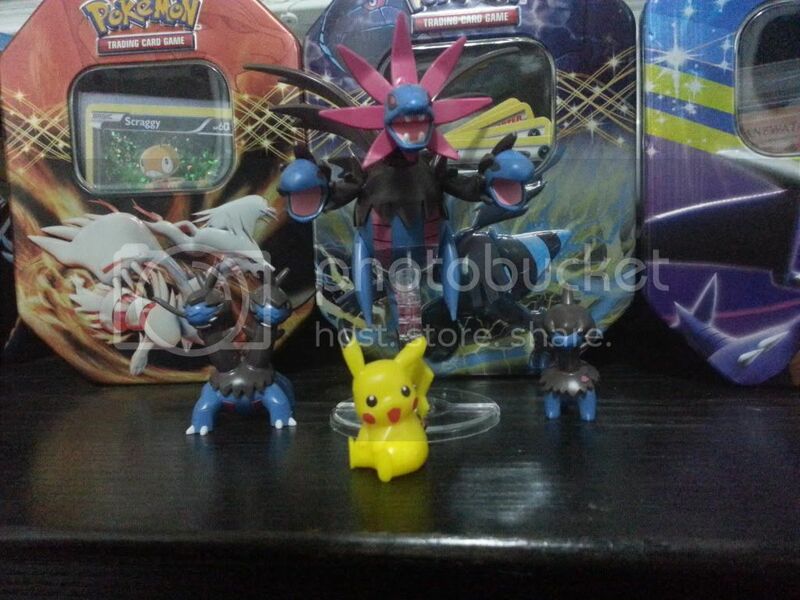 We know Team Rocket and Pikachu got these figures, but at the CharaHobby toy fair going on this weekend, MORE Pokemon, MORE characters and PLUSHIES were unveiled. 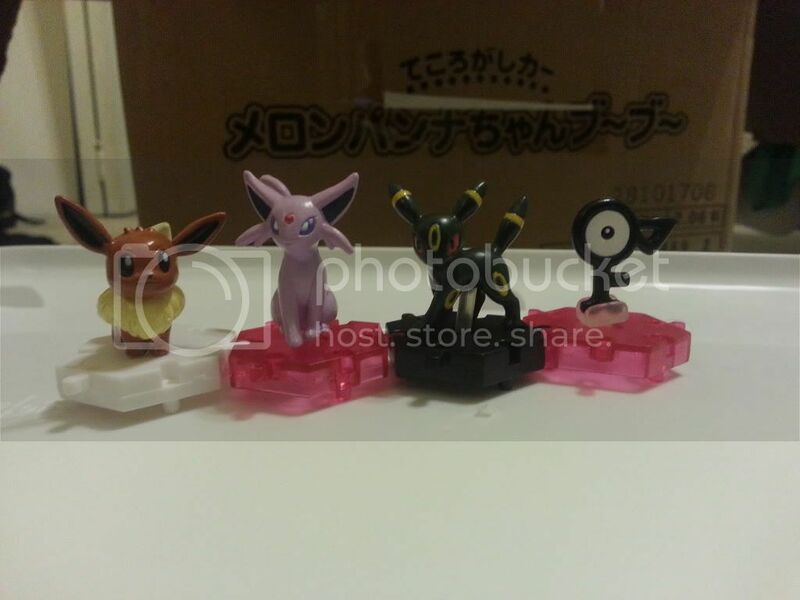 Team Rocket is a limited kuji for that fair, but the new ones will be a nationwide kuji. No date yet? But we can expect early 2013, I think. 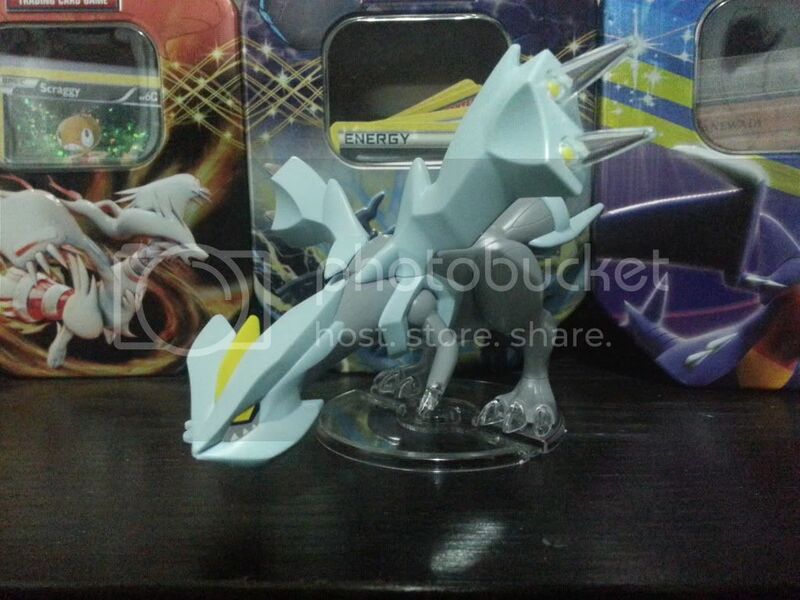 And of course that original poster promises more Pokemon than we are seeing here, so, fingers crossed! Just a tad bit more news. And new retsuden stampers coming in October as well! Anyway I do promise some major sales going up tomorrow! 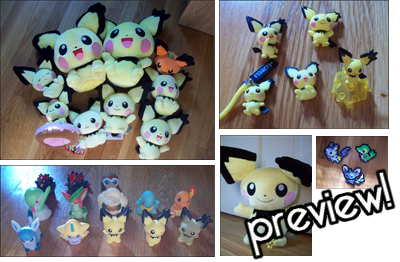 This will include a PIKACHU YELLOW 3DS LL!!! (Nevermind! Claimed!) that I waited over 3 hours for in a blazing sun. Yeesh!!! Please send all payments to dsmith42@students.towson.edu as soon as possible thank you! Please comment below when you have sent payment! School begins tomorrow and I am a little short on money for my books. 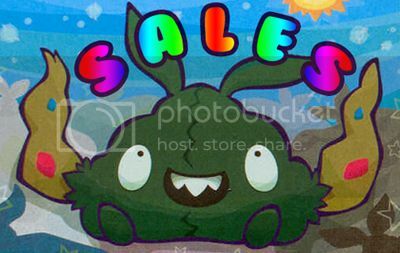 Please take a look at my sales and feel free to haggle! 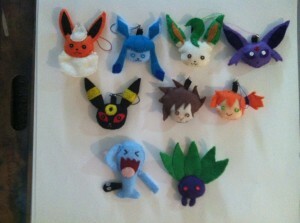 I have my remaining felt friends for sale as well. It went to ホビキャラ 2012.
kyun chara which is due to be sold in 2013 was exhibited. Although it is unknown whether it is the same as the thing sold at the hall this time, it almost goes into the lineup of a lot. This lot had restriction to one persons two. If it stands in a line once again, pulling any number of times is possible. However, it is an end in 1 hour and 30 minutes from a sales start. It seems that the number of sale was reduced since there was little production according to the staff's talk. As for the number to sell, 25 days and 26 days are the about the same. Although it is a guess, I think that 450 pieces were sold today. The sales method of kyun chara in which Jolteon etc. are is unknown. I am not a lottery and want you to use box sale. 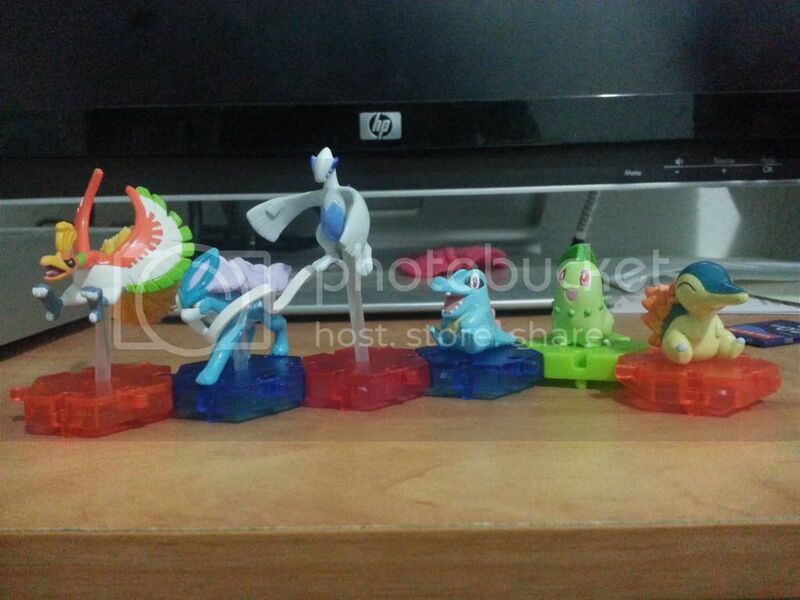 I was not able to get only Pikachu of the pearl version. Since the target rocket team obtained, it was good. This is a week late. My anniversary was last Monday but due to work i had to put it back. So lets get this party started! Ok you may know me as the crazy dragon collector who uses a certain Digidestined ( one Matt Ishida) in her icons. So i had better re-introduce myself. My name is Emma but here on the net you can call me Dragonrider. ( since I love dragons ya know?) Since i was a prat and deleted last years pictures from my intro i can't show you but i can tell you. 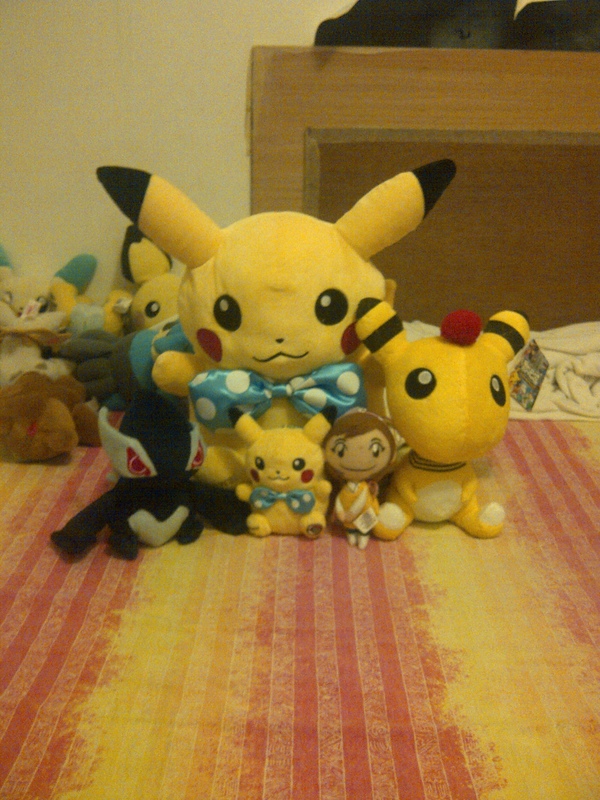 2 axew plushies ( tomy and pokedoll) and an axew kid. reshiram and zekrom pokedolls and the kids. Heres to another Dragon-filled year! I've been after this in-case for too long its now like a mini grail, haha. I don't mind if its with or without its case I just really would like to own one. This is the second thing I need, this thing has eluded my grasp since I started collecting and is the last fcs figure I need. I'd be so grateful if any of you guys can helps me find these two items. Both the images are from Cinnabar's burning passion. 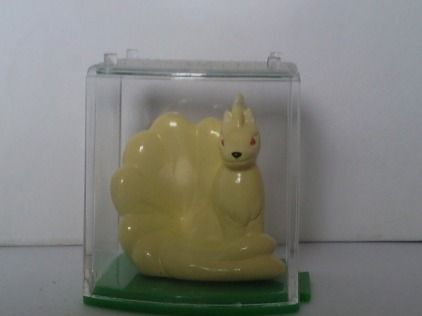 I'm also very interested in a green Ninetales metal figure as this is my favourite colour. 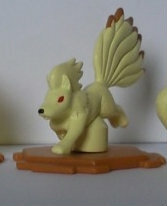 I'm also after the Banpresto stamper, it doesn't necessarily need the figure on top just the stamper part. Thank you very much for taking the time to read this post and again sorry about it being boring! 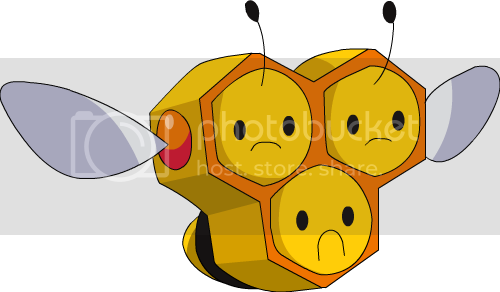 And looking for anything combee!!!!!!! Good evening, everyone! I come with some considerably noteworthy updates of various kinds! I am settled back at home after a marvellous vacation, only to come back to some very pleasant suprises, such as a small grail-get! 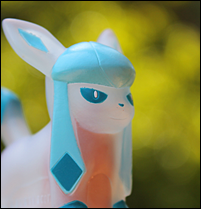 Please prepare yourself for much ice-fox goodness ahead! How could I continue further without an appropriate preview? And now for something completely different: the sales! I've decided to sell off my Gizamimi collection, so almost everything has been listed on my sales! I've also cleaned up the post and discounted most of the items. I'm really looking to get everything cleared out, so please help me get rid of these things! Thanks, guys! I hope you enjoyed! My Terrakions and other side collections are growing at a steady rate, so I am hoping that I'll be back with another update soon! Hi all! 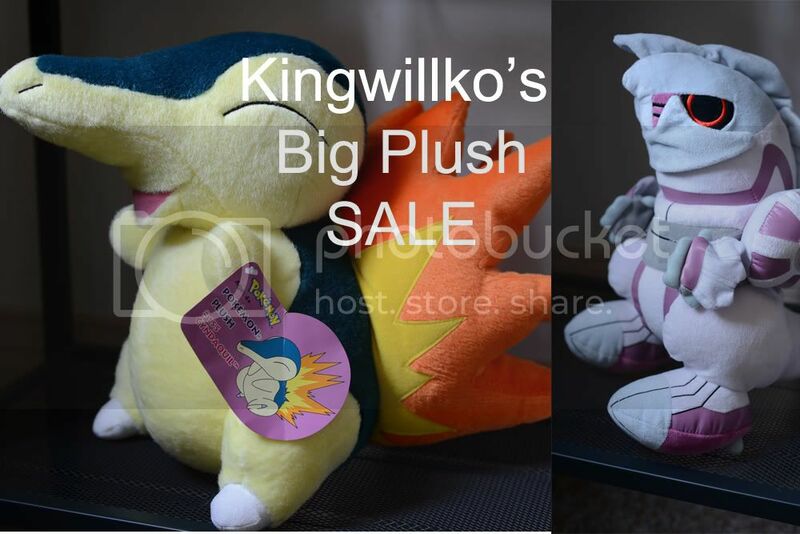 I've updated my sales post once again with leftover worlds merch that didn't sell on my auction. I have 3 worlds 2012 binders, deckbox, Large Adult Shirt, and a Latias pokedoll signed by the President of Pokemon Tsunekaz Ishihara. 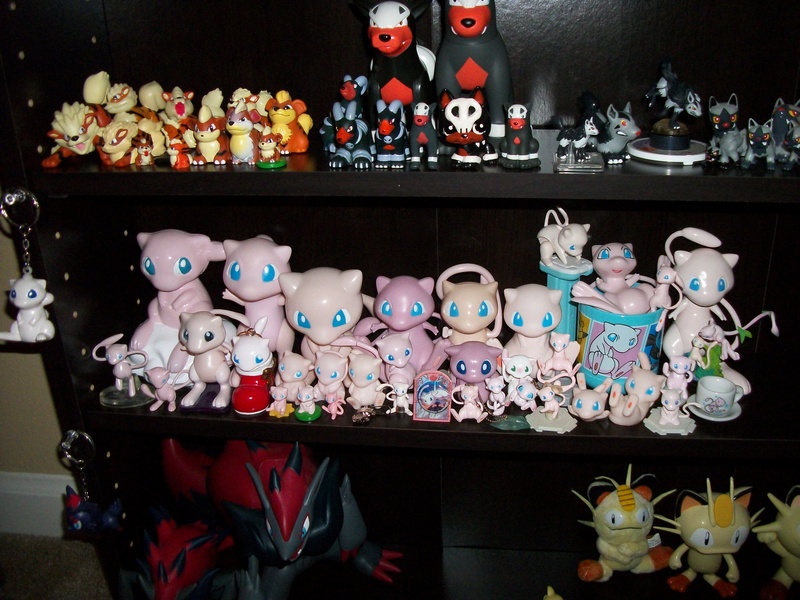 I also have promotion stamped worlds cards from 2010 and 2011, charms, pokedolls and other cool items. And a reminder that everything on my sales thread is negotiable! Click here or the picture below! Some gets and a want! I AM NOT RESPONSABLE FOR LOST PACKAGES AFTER THEY ARE SHIPPED!!!! I accept paypal, e-check and money order ONLY! I am willing to haggle. I ship within the week. I only hold items for 24 hours then I move on to next in line. I ship out of Michigan. Wow, I haven';t posted much lately. I'm Tornaderman, aka Empa! 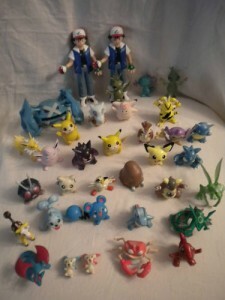 I collect Clefairy, Clefable, and Oshawott mostly! I'll try to get a good collection post soon, but today I have lotsa goodies for sale! Plushies, figures, etc. I have a Jolteon Johto Dex Charm (attack pose) Up for offers as well! Click here to go to the Fairy Sales! I'm looking for a deck box with this B/W2 artwork if anyone has one they'd like to sell! I'm in the US and can pay asap! I just started playing TCG this weekend and it's been really fun. There's a lot of stuff to learn but I really like it so far. Got one! Thanks guys! 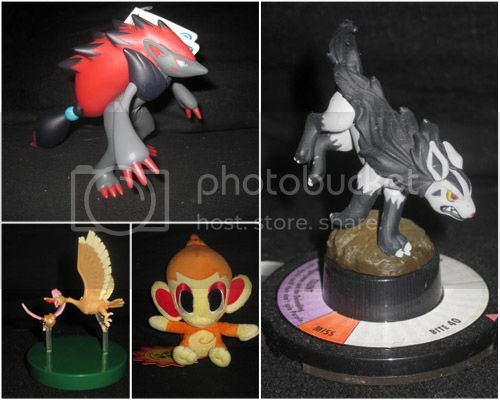 Here you will find plush, figures, charms, TCG, and more~! My birthday is coming up, and I got some items that I already own/was already getting. So I'll be selling these off. 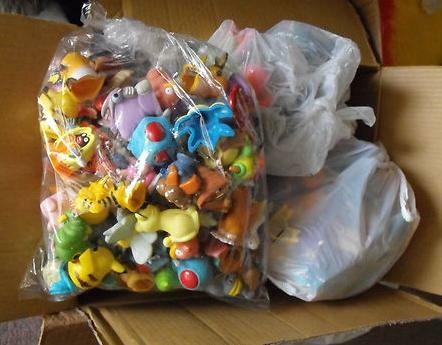 This includes a 1/1 Cyndaquil and a Palkia DX Pokedoll. Click here or on the banner to be transported! Schenzi's 400 kids (and more) GA Payment 1 reminder! Hey guys, I've updated the spreadsheet further: Clicky click. Thanks to those who have already paid for making this a super easy experience! I'm glad we could raise the total for Schenzi, and grateful for everyone's patience whilst I sorted this out! Yes there will be leftovers. Many will be free, and some of the more popular characters will be in cheap (cents) auctions or random, so we don't get a case of "first come first serve" and people who come late feel left out. Side note: Every time I run a GA, or see someone else run one - I notice someone who missed a payment says, "Oh I missed the post, you should have PMed me." and I sometimes feel like breaking my keyboard over my knee. How do you feel, other GA runners?